The Da Firma Kimono Company established a brand of kimonos customizable to the body type of the individual only a few years ago. This year the Da Firma Training Center opened its doors for training. In a remarkable amount of time Ricardo Tubbs, a dedicated service member, and owner of DFKC expanded his brand and it is thriving. The company is a major supporter of 2 non-profit organizations and sponsors some outstanding athletes. With the impending release of an updated version of one of the brands most popular selling kimonos (the Arte Suave V2) BJJ Legends took some time out to talk to the DFKC owner Ricardo Tubbs about the Da Firma Kimono Company, family, and brand. As a service member, how did you get involved with BJJ? As a service member I traveled and moved a lot, trained under Marcelo Alcantar and Alan Merullo in the past. I am very proud to be a Brown Belt under Master Ricardo Cavalcanti. He is an amazing man and true leader; he is located in Las Vegas, Nevada. My current professor is Jean “Dalua” Cartagena and I train at Da Firm Training Center in Chesapeake VA, www.dafirmatc.com. We are part of the Cavalcanti Jiu Jitsu association. Master Ricardo Cavalcanti is one of very few men to receive his Black Belt from Grand Master Carlson Gracie.Mitsuyo Maeda > Carlos Gracie > Carlson Gracie > Ricardo Cavalcanti. Do you ever have the opportunity to compete? I competed a lot in the past and have done very well. I am recovering from knee surgery but I plan to compete again next year in the NO-GI Pans and the Senior-Master Worlds. I will also compete in a few of the regional tournaments. I would also like a super fight with Guto Braga from BJJ Graphics…..calling you out buddy! Metamoris, EBI seems like the best venue. How did you convince your family members to also start training? It was not that hard to convince them, we all enjoy it is a family thing. The family that trains together…submits people together! What made you want to start your own Kimono Co? My family owned a small clothing factory in Massachusetts when I was a kid, when I started Jiu Jitsu I always thought I could make high quality gear for a fair price. It took me a long time to start, but I was on deployment in Afghanistan and some crazy things happened (to make a long story short) when I came home I started the company. How do you develop your designs/color schemes for your kimonos? I listen to my customers and my athletes to be honest with you. I like to change up the colors every year or so. We try not to do anything too over the top or blingy but we want to have a clean look that stands out. What determines when you will release a special edition? When we finally decide on a final look, that is when we release new products. I would not say that there is a 100% formula, but we will be releasing the Arte Suave V2 for Pre-sale at the end of September so that they will be available well in advance of the holidays. How do you determine the price per edition? As far as price goes we do our best to keep the prices low, the pricing on the limited edition kimonos are usually higher because they cost more to make. Just wait until you see the new Arte Suave V2! We collaborated with Guto Braga from www.bjjgraphics.com for an incredibly beautiful design for the inside of the kimono, but right now it is a secret. Your kimonos are ideal for women because they accommodate the extremely petite. When you conceptualized the idea of starting a Kimono Co did you think about the gap in the market for women? I think our kimonos accommodate people of every size. We have 46 different sizes available, long, short, middle, regular, and combinations of all of them. Yes, we thought about the gap for women, we could never find the perfect kimono for my wife so I made it. When we designed our first women’s kimonos with a lot of help from Lana Hunter who went on to become the very first DFKC sponsored athlete. I think we had a group of 20 women, of different body types, that Lana recruited for us to design the first women’s cut. We did the same thing with the guys, but it was a lot more difficult with the women’s kimonos. We started from the ground up, with totally new patterns. I wanted our kimonos to be a true women’s cut! You will take one of your bulk item kimonos and customize it for an individual customer, NO ONE else does this. This truly sets you apart from all other Kimono companies. What gave you the idea to do this? Actually we don’t use bulk kimonos to customize, we actually design the kimonos for the customers and make them a truly custom kimono. We are pretty quick too; we take about 8 weeks to turn things around, sometimes we are faster. I had the idea because I traveled a lot and I noticed two things: the teams with custom uniforms had more students and the smaller schools did not think they could afford it. My goal was to make high quality gear that every academy could afford regardless of size. You have a very quick turnaround rate when an individual buys a Kimono that is not a special order, it is two to three days in the U.S. (correct me if I’m wrong), what is the turnaround rate for an order going overseas? Yes we try to get orders shipped out the same day they are ordered, I hated ordering from a big online store and waiting 2-3 weeks to get my gear. Depending upon the country and the importation rules it will take about 1-2 weeks on average for overseas shipments. Are there any overseas areas you can’t ship to and why? We ship just about everywhere in the world. 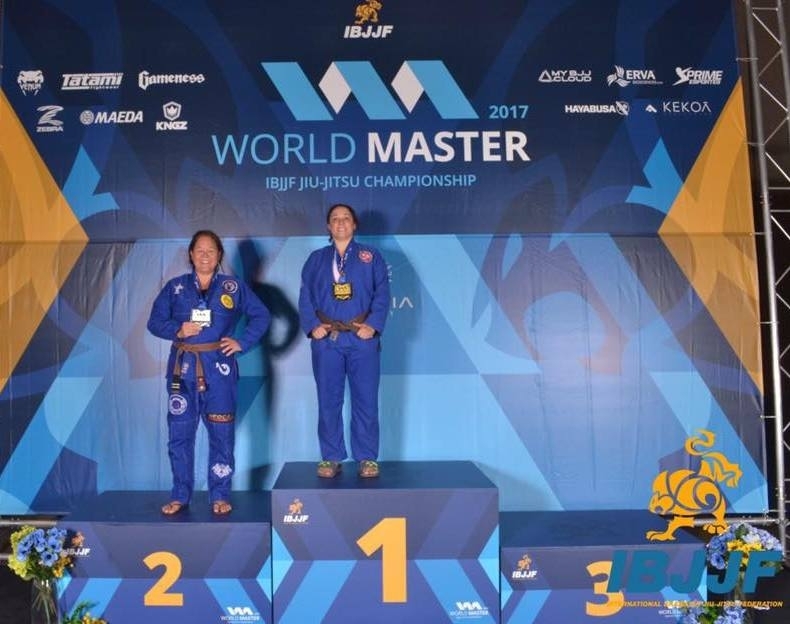 Your company sponsors some very prestigious BJJ competitors, what made you decide to start doing this? We sponsor people who we think represent Jiu Jitsu and our company with respect and dignity. All of our athletes are special people; if you read their biographies you will see what I mean. They are all good people, there is a lot more to them than podium appearances and twitter followers. Do you have a process that the competitors have to go thru or do you approach them for sponsorship? I pretty much will not consider anyone for sponsorship unless they own our gear. To me a sponsored athlete must love the gear that they represent; if not sponsorship is just about getting free stuff. I do something I call a spot sponsorship; I pay close attention to people who wear our kimonos and post about us on social media wearing our gear. I will contact them and let them know that I will pay for a tournament entry fee for them. I really love to connect with our clients like this, it is fun and you make a friend for life. It is great way to pay back loyalty. I also love to go to tournaments and talk to people who are wearing our gear, I usually don’t tell them who I am until the end of the conversation! This past year your brand expanded even more with the opening of DTC, how long had you been planning that? We are very proud of Da Firma Training Center in Chesapeake VA, www.dafrmatc.com. We are starting to grow and I am very proud of our team. 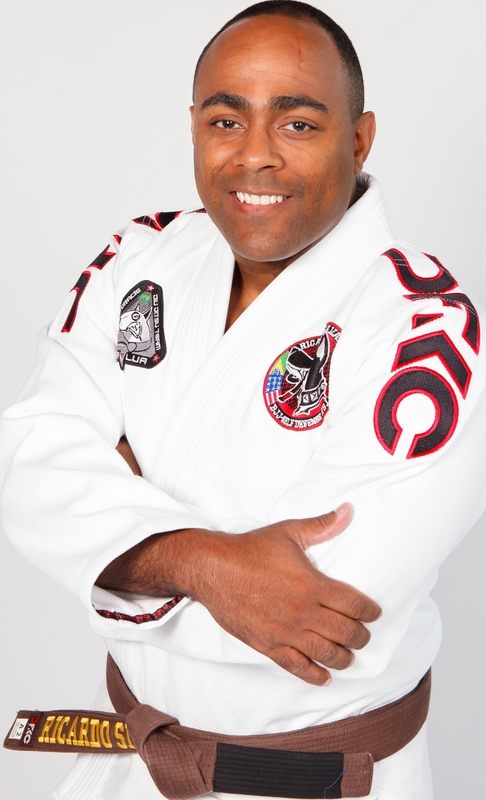 Our Professor, is Jean “Dalua” Cartagena, a Carlson Gracie Black Belt under Andre “Tim” Monteiro. We offer Athletic Performance Strength and Conditioning, with Coach Zack Roberts and Yoga! What can we look forward to next DFKC energy bars or drinks, the brand must continue expanding ;)? Haha, no we are not expanding into any of those arenas, but we love to support other companies that do! We would rather partner with other like-minded companies. What has been your biggest accomplishment with the growth and expansion of the DFKC Brand so far? Anytime we make mistake it drives me nuts! What are your long-term goals for the DFKC/DTC? I love where we are going with DFKC we are improving every day and it is awesome! As far as DTC we are looking to grow and teach authentic BJJ. We want to be a staple in our community and provided training to everyone, especially our police officers and military members. Jiu Jitsu has changed my life and I want everyone in my community to have the opportunity to learn what I have. We are more than just a local small business at DTC we are a part of the community. We will provide high level training, but not just competition BJJ, real world, self-defense, and training. We recently had DFKC athlete and MMA veteran and Coach Jorge Gurgel in for a seminar, and next month Master Ricardo Cavalcanti will be in the house. We have some pretty awesome seminars planned for next year too!